Well, pure bred, actually. 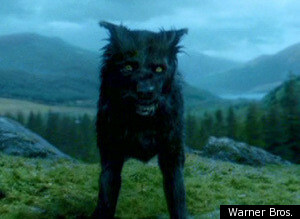 Berry, the black German Shepherd who played Padfoot in the Harry Potter films is up for adoption. His stuntman owner is on the road so much that he feels his four-legged companion is getting lonely. This entry was posted on Monday, September 26th, 2011 at 3:10 PM. It is filed under Blog. You can follow any responses to this entry through the RSS 2.0 feed.